Want to see all the technologies used by affinity.com? 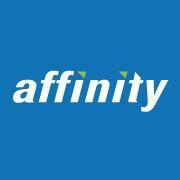 Founded in 2006, Affinity.com is the world's leading contextual ad network. We build innovative contextual advertising, media, and monetization solutions for Advertisers & Publishers. Our advertising, media, and monetization solutions are delivered via Affinity.com's Global Pay-Per-Click (PPC) & Display Advertising Networks. Both these networks help 100,000+ Advertisers reach out to their target audience by delivering over 50 Billion ad impressions each month. This is achieved through exclusive contextual ad distribution via Affinity.com's network of 50,000+ Premium Publishers, and Syndication Channels from across North America, Western Europe, Middle East, India, South-East Asia & Australia. For a quick look at additional technographic info on affinity.com or any domain on the web, download our Chrome Extension. Check out our help article to see how Datanyze Insider can help you.